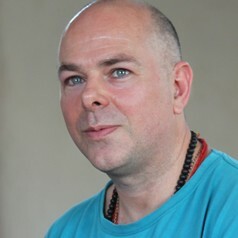 Anton Krueger is a writer and scholar specialising in New South African performance modalities. He is an NRF rated researcher and has published numerous articles and book chapters on subjects ranging from indigenous dance to Zef. His latest scholarly interests include research into mindfulness and spirituality in performance. Anton has also published in a wide range of other genres, including poetry, memoir, short fiction and drama. He is a member of the International Federation of Theatre Research, Performance Philosophy, Performance Studies International, PEN South Africa and the Performing Arts Network South Africa (PANSA). Anton is regularly invited to be guest editor and reviewer for Cue at the National Arts Festival. Magnet Theatre: Three Decades of Making Space (2016), co-editor with Megan Lewis. Experiments in Freedom: Explorations of Identity in New South African Drama (2010) was awarded the Rhodes Vice Chancellor’s Book Award in 2011. “Nine Notes on Lisbon” was the runner up for the DALRO poetry prize (2011). Living in Strange Lands: the Testimony of Dimitri Tsafendas was nominated for an FNB-Vita award in 2002 and was the runner-up for the Olive Schreiner Award in 2006. It has represented South Africa at festivals in Venezuela (2003) and Argentina (2009) and continues to be performed, most recently in 2014. In 2008 Anton was invited to participate in Poetry Africa, the premier poetry festival on the continent. Chatter won the PANSA Gauteng Festival of Staged Reading in October 2007. Mediocrity was the winner of the SANCTA festival in 2000, and the play was chosen to represent South Africa at the Mondial du Teater in Monaco in 2001. It won the Leverhulme Drama Festival in England, and was a finalist in the Clwyd Community Theatre Association Festival in Wales (in May, 2006). The play also took 17 awards in various festivals in Australia during 2007. Easter Island was shortlisted for the BBC International Radio Drama contest out of 1000 entries. Altyd [“Always”] was a finalist in the Sanlam Radio Drama Kompetisie and was subsequently broadcast on the national radio station Radio Sonder Grense (Radio Without Boundaries) in November, 2013. Old Dogs was awarded two staged readings in separate contests: the PANSA Festival of Staged Readings, at the Catalina theatre in Durban in 2012, and the Theatre Arts Admin in Cape Town in 2013. In 2012 Anton co-produced and performed in Polis on the Main programme of the National Arts Festival, with Athina Vahla, Mark Wilby and Ford Evanson. This was a series of five inter-disciplinary live art events which interrogated the bicentenary of Grahamstown. From 2012-2013 he was involved in seven episodes of a series of Interdisciplinary Performance Art events curated by Athina Vahla for the Department of Drama, Rhodes University. Anton has published over 20 articles and book chapters in peer reviewed publications, and around 100 reviews on books and theatrical productions in print media. Anton’s poems and short stories have appeared in Big Bridge, New Coin, Itch, Litnet, African Writing Online, Incwadi, Tyhini, The Pretoria News, Alookaway, Botsotso, Laugh-it-Off, Sweet Magazine, Ons Klintji, New Contrast, Mahala and Consciousness, Literature and the Arts.